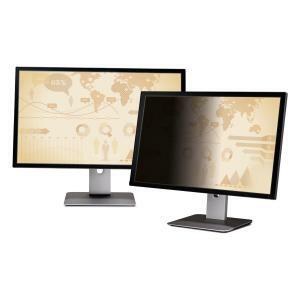 Protect personal data from prying eyes with the 3M™ privacy filter that fits 21.6 Inch widescreen desktop monitors. It has an integrated MicroLouver technology that blacks out beyond the 60 degree viewing angle. This monitor privacy screen can be reversed between the glossy and matte surfaces, as per user convenience. It is also designed to protect the display from dust and scratches.